Black Jack pattern. The design shows the cars colour as the background. 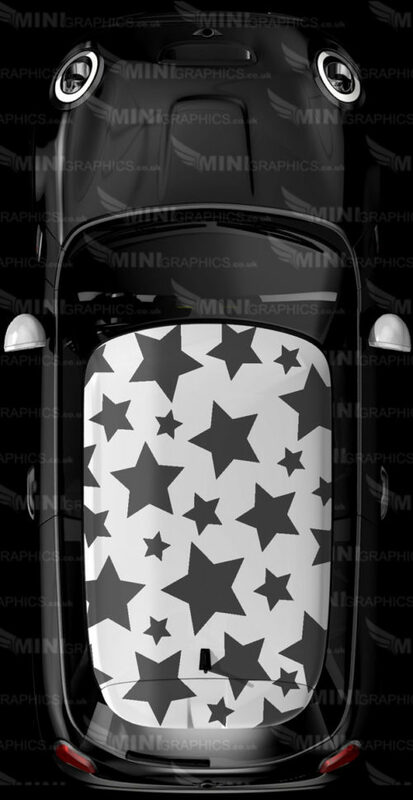 The image shows silver and white vinyl on a black roofed MINI. 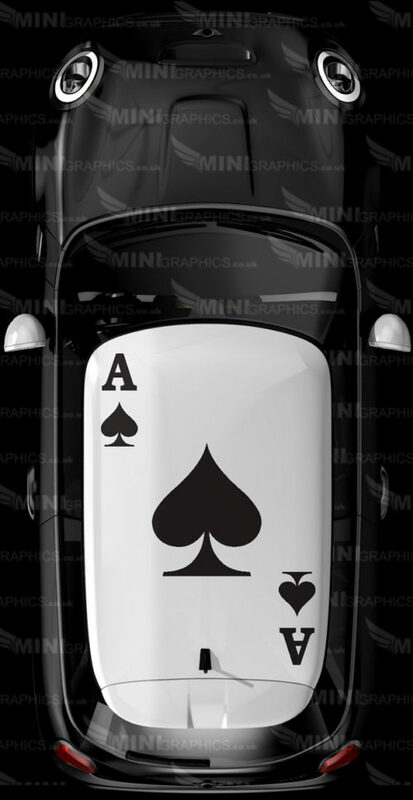 Ace of spades roof Graphic pattern. The design shows the cars colour as the background. 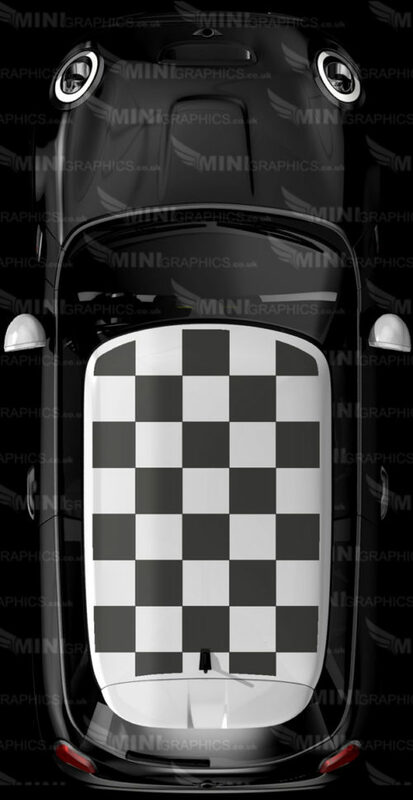 The image shows Black vinyl on a White MINI. 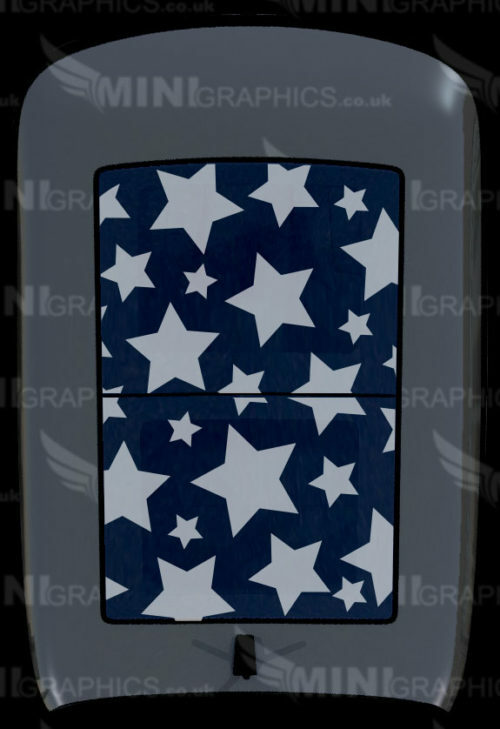 Stars-02 roof Graphic pattern. The design shows the cars colour as the background. 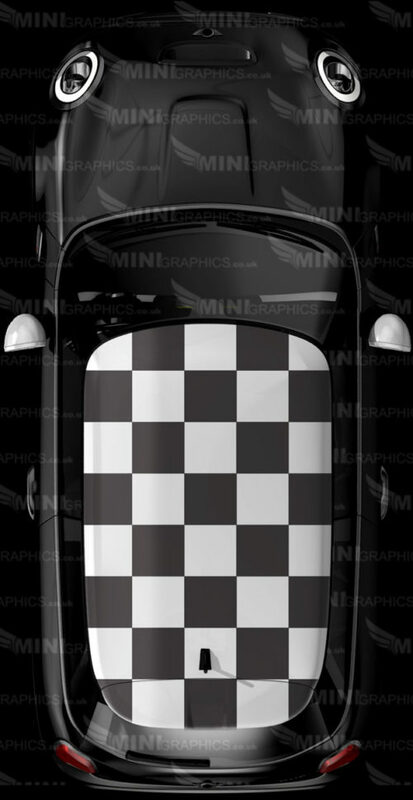 The image shows Black vinyl on a White MINI. Checks blown roof graphic pattern. The design shows the cars colour as the background. 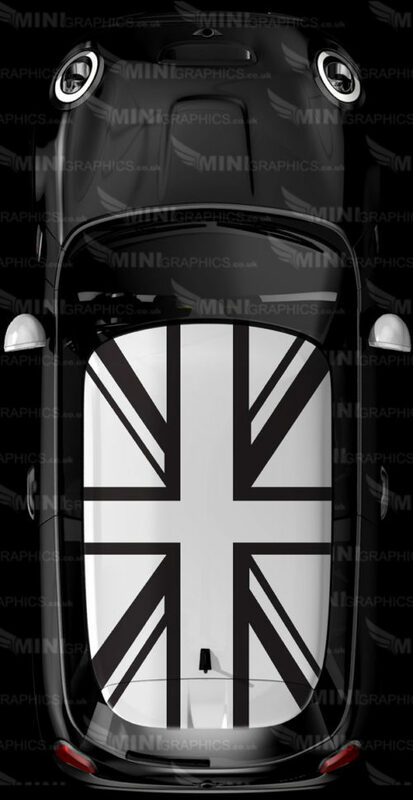 The image shows Black vinyl on a White MINI. 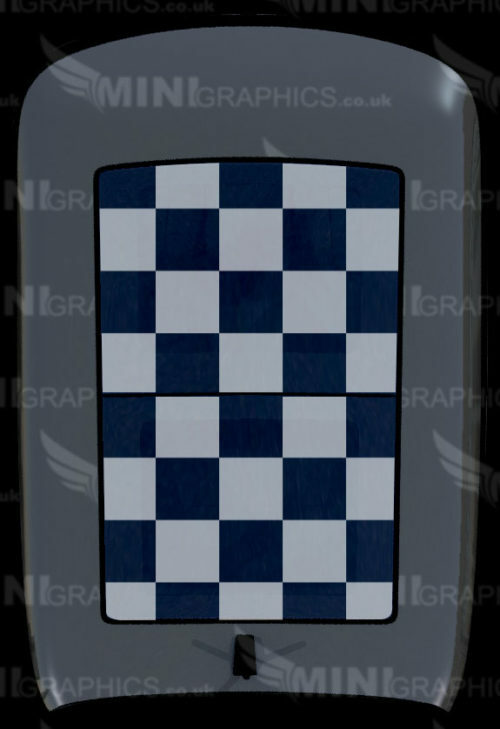 Checkered Bordered roof graphic pattern. 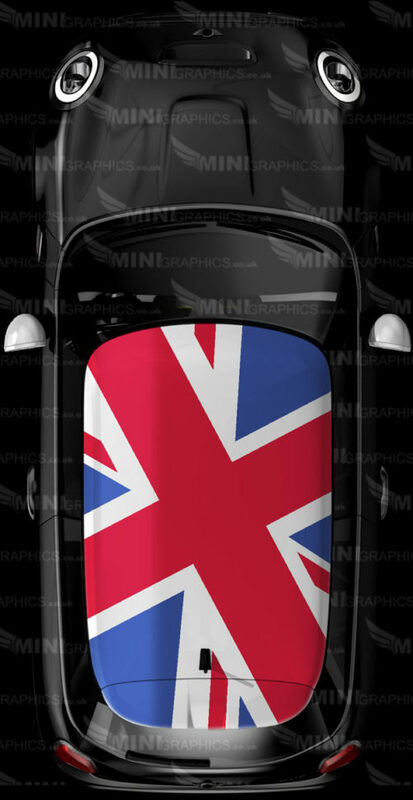 The design shows the cars colour as the background. 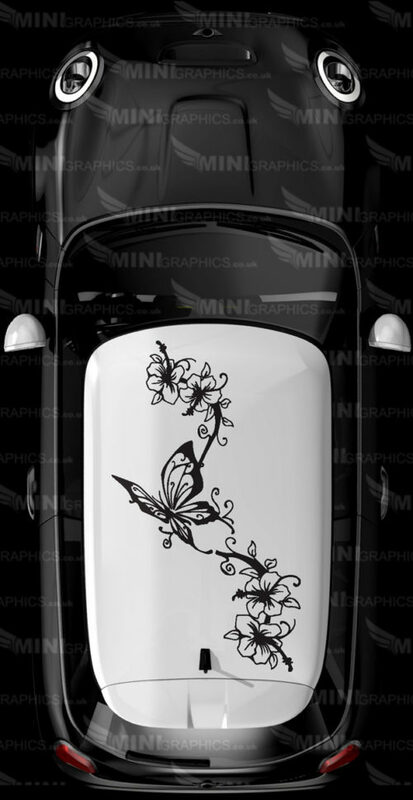 The image shows Black vinyl on a White MINI. Checkered roof graphic pattern. 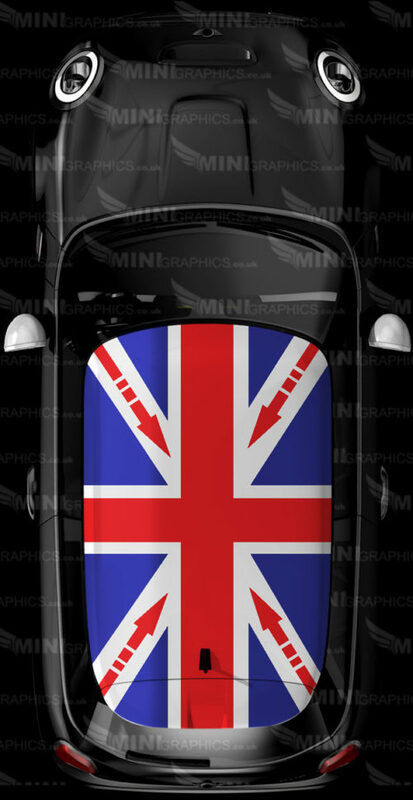 The design shows the cars colour as the background. 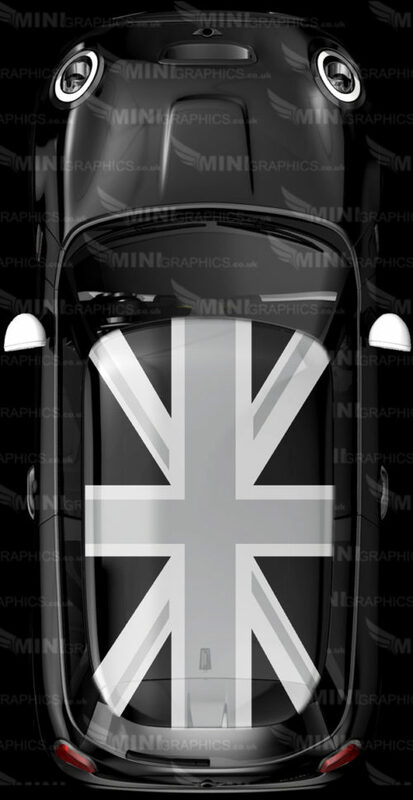 The image shows Black vinyl on a White MINI. 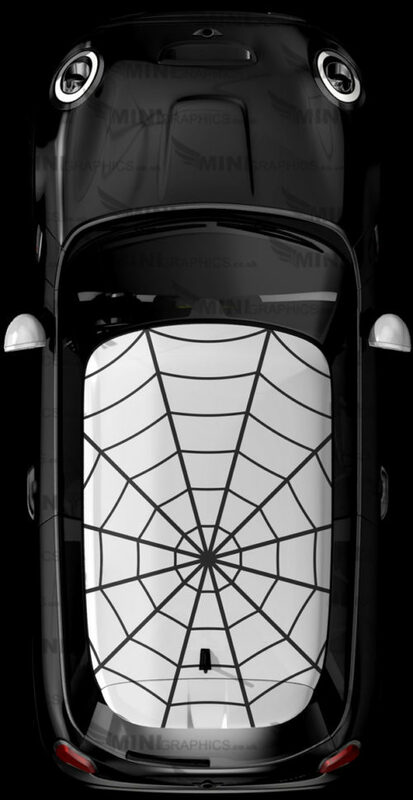 Spiders Web roof graphic pattern. The design shows the cars colour as the background. 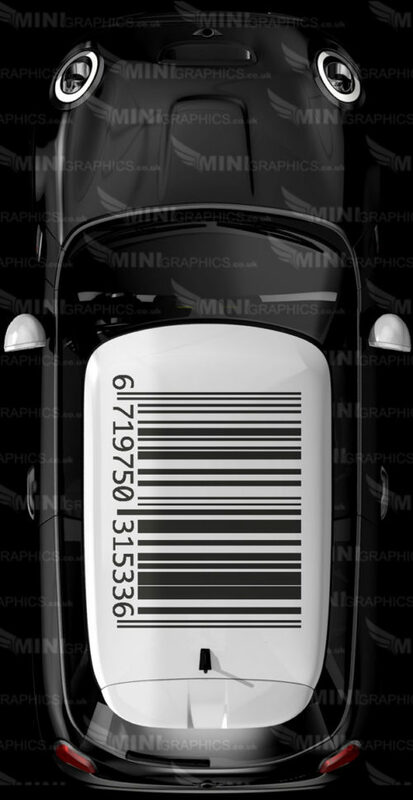 The image shows Black vinyl on a White MINI. 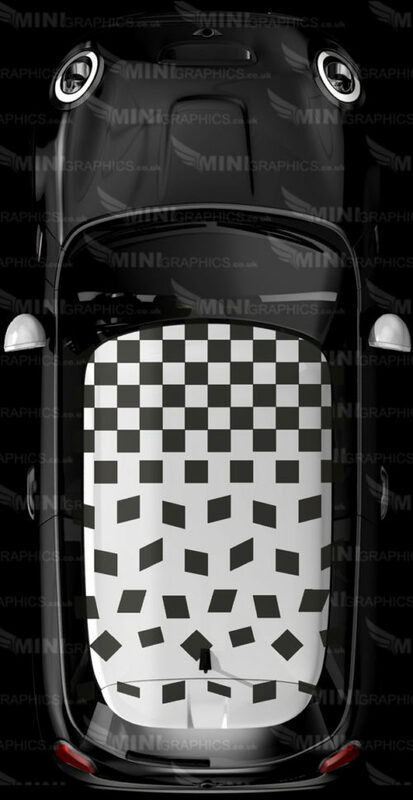 Checks and Zip MINI roof Graphic pattern. The design shows the cars colour as the background. 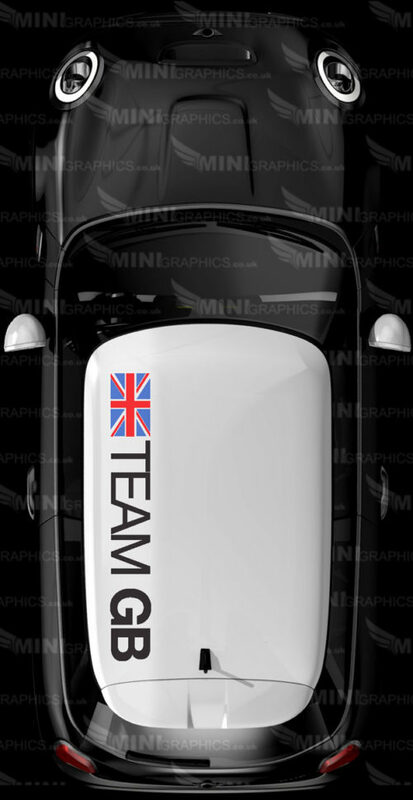 The image shows Black and Silver vinyl on a White MINI. 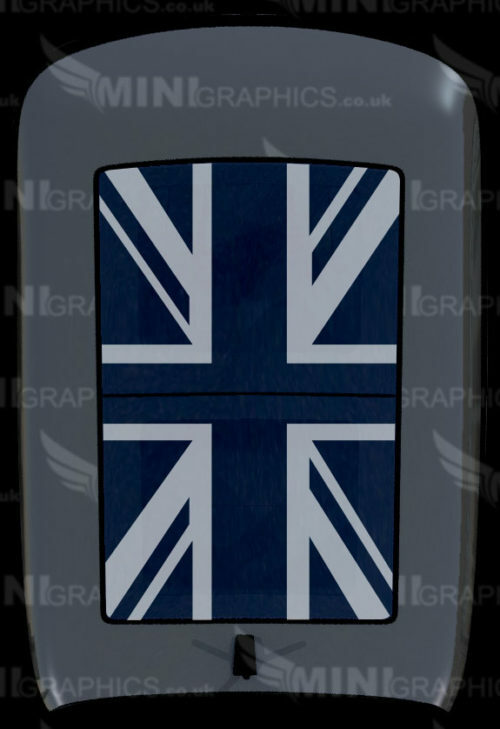 Tean GB roof Graphic pattern. 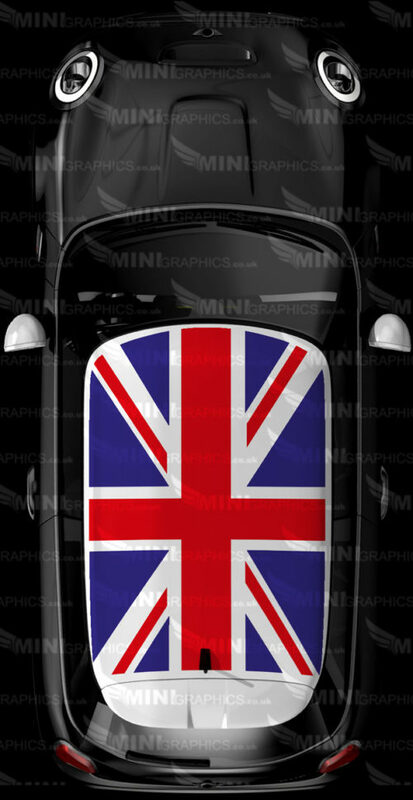 The design shows the cars colour as the background. 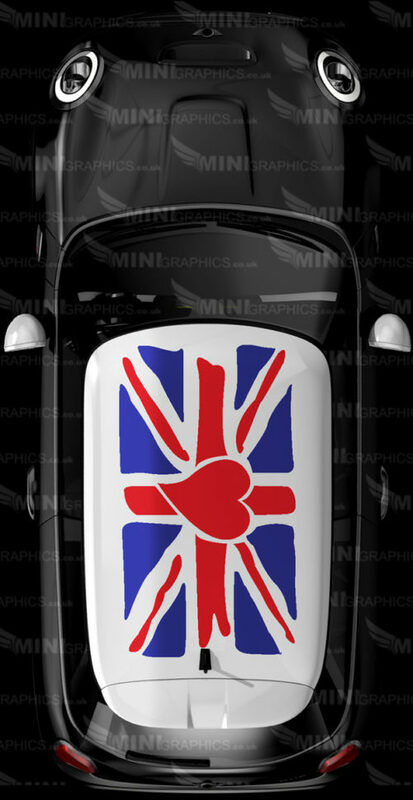 The image shows Black, red & Blue vinyl on a White MINI. Mono Union Jack sunroof Graphic pattern. 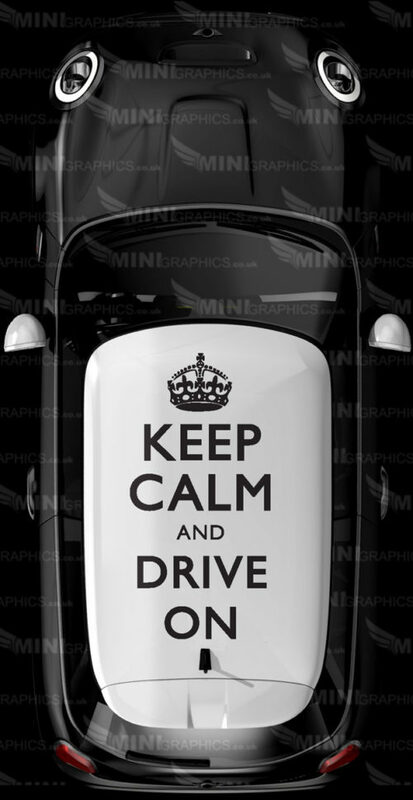 The design shows the cars colour as the background. The image shows White vinyl on a glass sunroof. 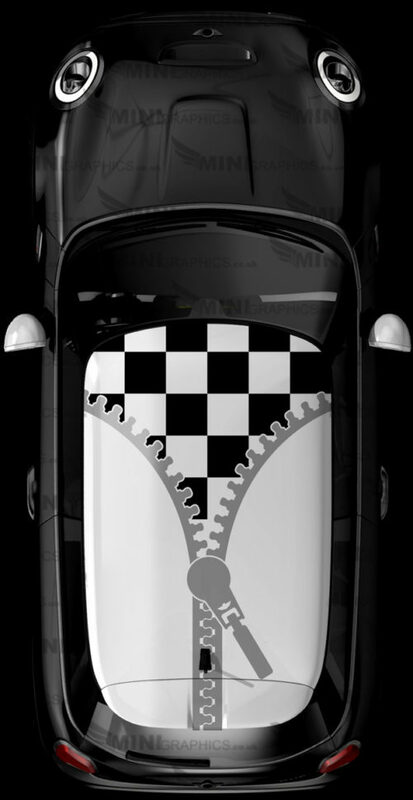 Checkered sunroof Graphic. The design shows the cars colour as the background. The image shows White vinyl on a glass sunroof. 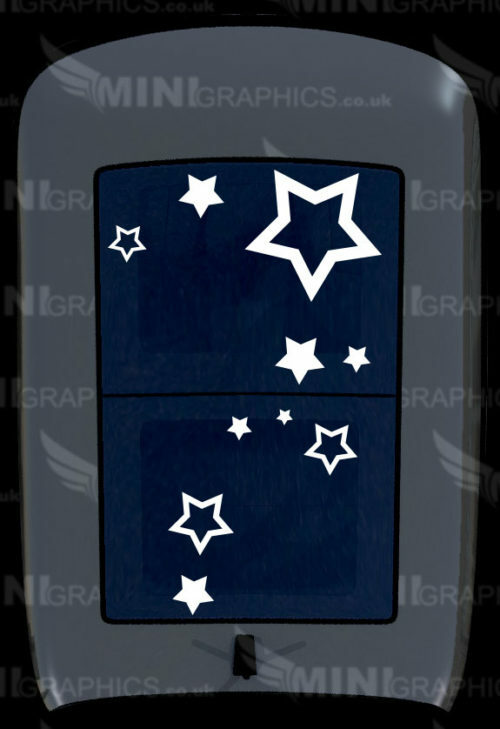 Stars sunroof Graphic. The design shows the cars colour as the background. The image shows White vinyl on a glass sunroof. 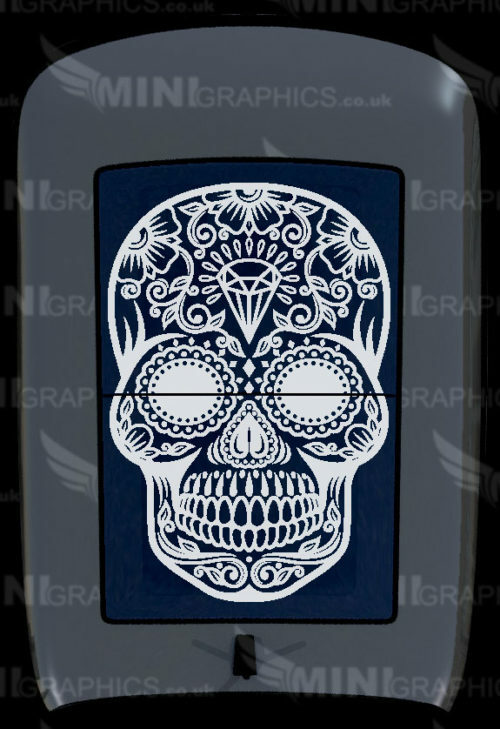 Sugar Skull sunroof Graphic. The design shows the cars colour as the background. The image shows White vinyl on a glass sunroof. 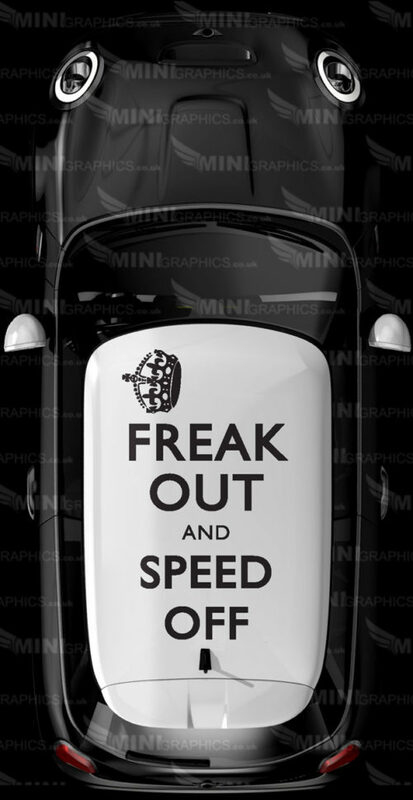 Freak Out roof Graphic. The design shows the cars colour as the background. 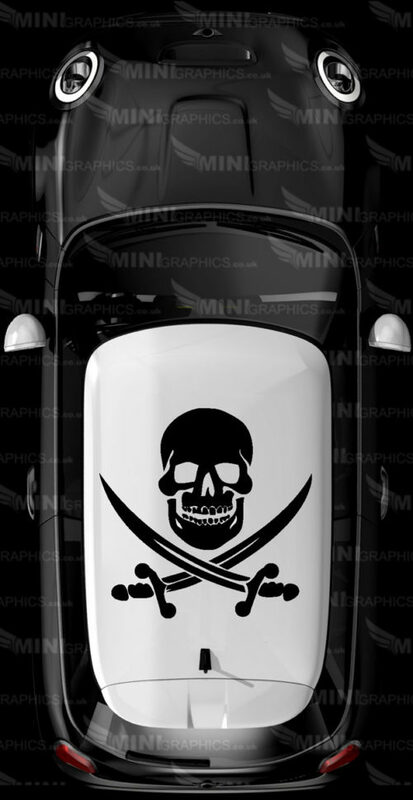 The image shows BLACK vinyl on a white MINI. 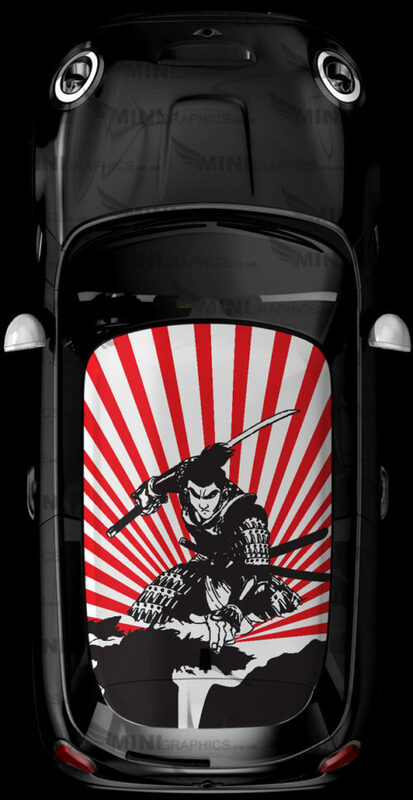 Samurai roof Graphic pattern. The design shows the cars colour as the background. 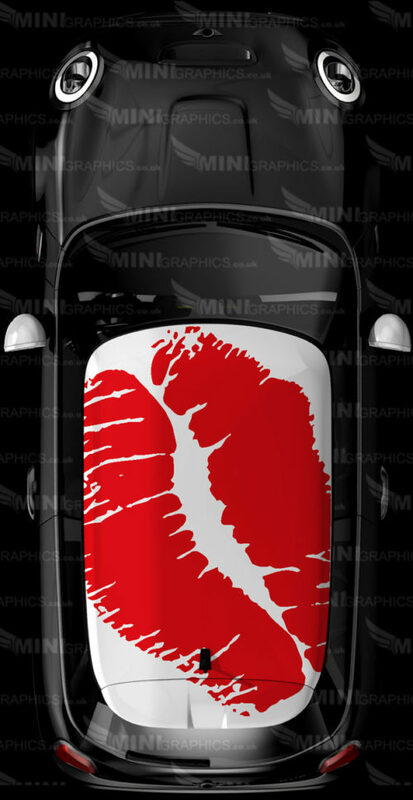 The image shows Red and Black vinyl on a White MINI. Keep Calm roof Graphic. 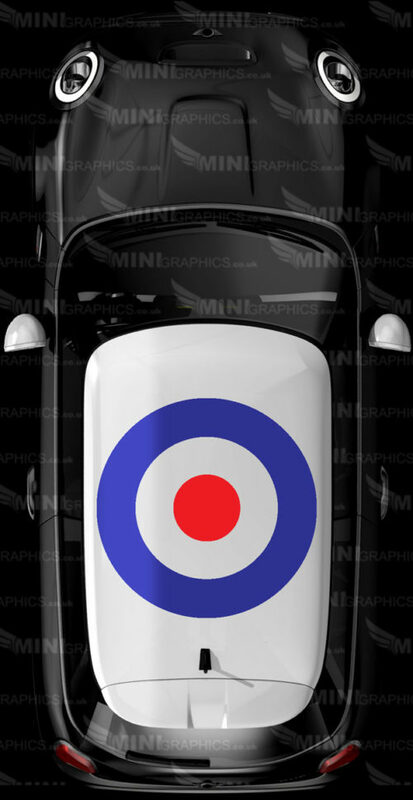 The design shows the cars colour as the background. 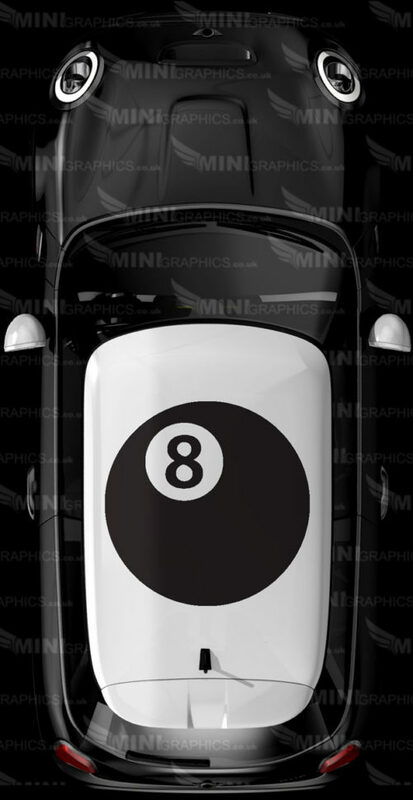 The image shows BLACK vinyl on a white MINI.